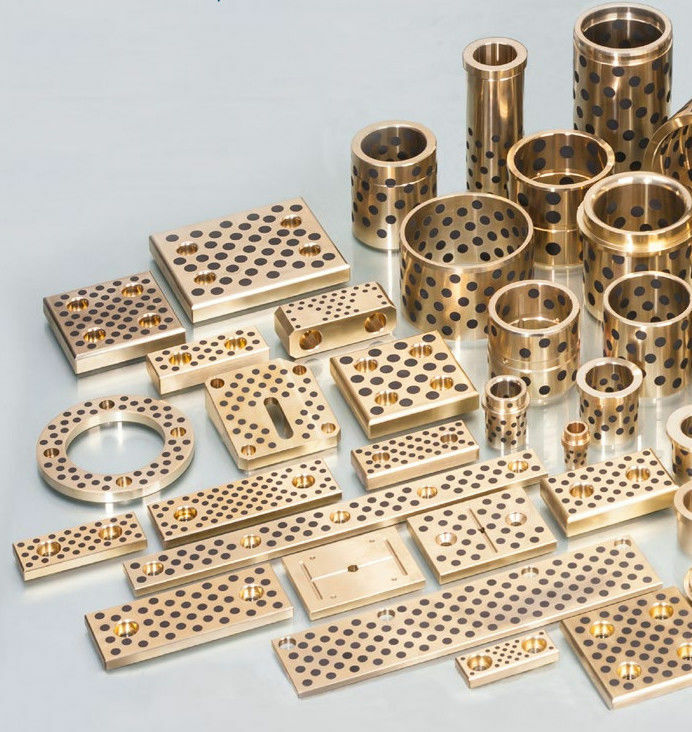 These bearings are mainly used in agricultural machinery, conveying installations and construction machinery. 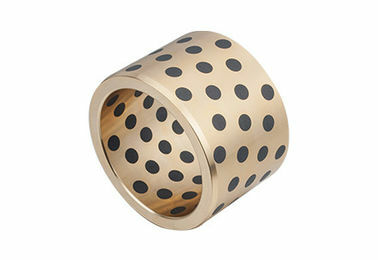 This type of bearing is suitable for middle or low speed with heavy load condition. 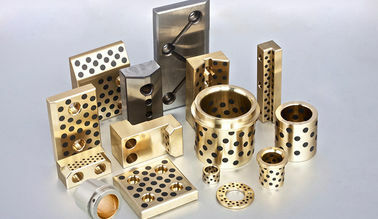 It is widely used for engineering machinery, vehicle, steel and iron and takeup machinery. Fuel supply system in the engineering design is a piece of work, time-consuming setup, using solid lubrication bearings do not need to consider when designing refueling device, save the refueling devices, as well as for a wide variety of special occasions, the solid lubricated bearing design into various shapes, in order to satisfy various occasions, the use of solid lubrication bearing, can greatly reduce the mechanical maintenance, oil and other expenses. The traditional mechanical design, in a certain operating time, want to often come on maintenance, check the oil, the oil supply device was clear, the body itself and the surrounding environment pollution caused by regular gas, result in an increase in maintenance costs, realize self-lubrication, not only can realize the environment clean and tidy, and greatly reduce the cost of the use of lubricating oil. Due to the linear expansion coefficient of solid lubricant is greater than the metal matrix, so when the solid lubricated bearing, when we started running on the oil film will shift to a grinding and realize self-lubrication, so solid lubrication bearings can be used in the place where is hard to go and can't go or grease, even in the case of low speed and high load, also can have good lubrication effect. 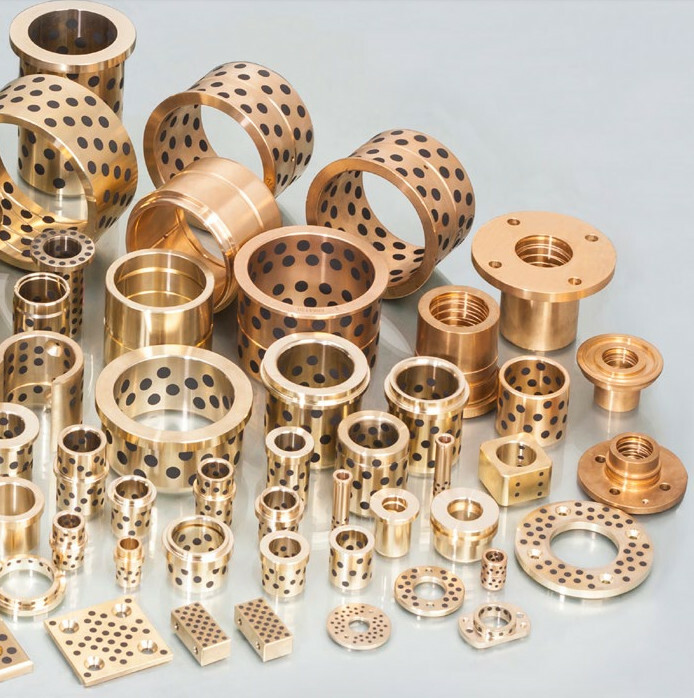 Solid lubricated bearing is a centrifugal casting of high strength brass as the matrix, play the role of load bearing, with a good self-lubricating performance of the special formula of graphite as a lubricant, play the role of self-lubricating, so it combines their own advantages, even in the case of high load, low speed, can play a superior performance. 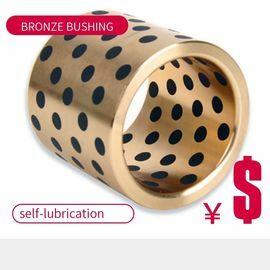 The lubricant of the solid lubrication bearing is made of special formula graphite, PTEE and other wear-resistant materials, it has a stable molecular structure, the metal matrix can be selected according to different metals have different drug resistance and corrosion resistance, so the solid lubrication bearing has excellent drug resistance and corrosion resistance. The arrangement principle of the lubricants of the solid lubrication bearing is to ensure that there are lubricants on all parts of the grinding parts in the running process. Therefore, the arrangement position of the lubricants must be determined according to the movement direction of the grinding parts. 7. Long working life, little maintenance, long replacement cycle and good performance. 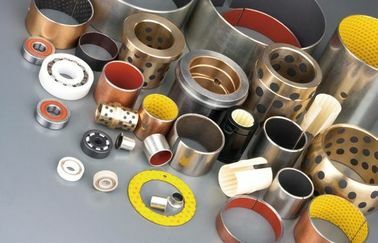 Due to the requirements of special production process, some key equipment of industrial and mining enterprises operate under extremely bad working conditions.Due to heavy equipment, high ambient temperature, large dust or acid corrosive gas CO, SO2 in the air, the lubrication of the equipment brings a lot of problems, serious friction and wear, in order to produce continuous operation, in addition to the original design requires the installation of multiple equipment wheel repair, also need to invest a lot of maintenance personnel.It seriously restricts the improvement of productivity, and the consumption of spare parts and energy is extremely large, which has become an important obstacle to the development of production. The traditional mechanical designing requires frequent oiling maintenance; oil gauge check shall be performed to ensure the passage of oil supplying apparatus is clear. Since the periodical oiling can cause pollution to the machines themselves as welI as to the ambient surroundings, resulting in an increase of the maintenance cost,the realization of self-lubrication can not only make the environment clean but greatly reduce the Iubricating costs as well.